That is a question that I am asked quite often. Its a pretty fair question. While it is not unheard of for an American to come and live here, it is also not common. There is a decent sized community of expats peppered around Vietnam. But most of them came here because of a job of some sorts. Their reasons are quite practical and easy to explain. My reasons for moving to Vietnam will not be found on any resume. My story more closely resembles a love story. 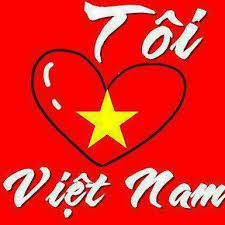 My initial interest in Vietnam began when I was researching a topic for my MA thesis. At the time, I wanted to research military history and I wanted a topic with which no one else in my university was dealing. My thesis advisor recommended I start looking into the Vietnam War. So I started to read, and read, and read some more. I was very interested, but two things constantly frustrated me. First, all the sources that were easily accessible only ever showed the American perspective of the war. Second, I was reading all these Vietnamese names, and I had no idea if I was pronouncing them correctly. So I set 2 goals for myself. I was going to to find out more about the Vietnamese perspective, and I was going to learn how to pronounce the Vietnamese names and places that I was reading about. So I set out to find whatever sources I could in English on the Vietnamese side of the war and I pestered the staff of the Vietnamese embassy in Tel Aviv, begging them to help me find someone to teach me some basic Vietnamese. Both efforts payed off. I learned a great deal about Vietnam, both through new books, and from my new friends from the embassy, who not only taught me, but welcomed me into their home on many occasions. Then came the summer of 2011, I decided I was going to go spend a month in Hanoi, studying and traveling. This is when everything changed. I know many people do not believe in love at first site, but my experience coming to Vietnam for the first time is evidence that it is in fact real. Almost as soon as I arrived, my connection to Vietnam went from an academic interest, to love. I had never visited a place like Vietnam before and I was swept off my feet. It was exotic and unique, yet comfortable and approachable. It fused old and new, local culture with foreign influence, country side, with modern metropolis. And even though I was only around for five weeks, I managed to meet amazing people and make new, close friends that I am still close with to this day. When it came time to leave and return to Israel, I was extremely sad. I knew that I wanted to spend more time in Vietnam. I knew that this wonderful country had much to offer and to discover. I decided that once I was done with my graduate studies, I would return to Hanoi to study, research and experience as much as possible. Then the accident happened that left my parents killed, and me badly injured. My life seemed to be shattered. I remember lying in the hospital, feeling scared, depressed and not knowing how I was going to continue. And than it hit me; I was going to go somewhere I was happy, far from my old broken life. I was going to go to a place that offered me options for a future and I was going to start my life anew. I decided I was going to move to Vietnam. This was the goal that I focused on throughout my four months in the hospital and through all the physical therapy and surgeries. I kept saying to myself, the sooner I get better, the sooner I can pack up and live my dream. Finally, in April of 2013, I arrived at my new home in Hanoi, Vietnam and I can’t remember ever being happier. Previous Article I am back!